GamerSushi Asks: The Continuing Story? There are two types of franchises in video games: the ones like Final Fantasy, where each game is a completely separate world with new characters and new experiences and the ones like Mass Effect where there is a continuing narrative that flows from game to game. These two aren’t the only franchises that are like this of course, but they are two of my favorite and I think they best represent the example I am trying to make. So I wanted to ask the GamerSushi Universe which type you prefer. Each has its own strengths and weaknesses. With Final Fantasy’s template, you know every time that you are getting something radically different from the previous game. Sure, certain themes and elements will be the same, but it’s kind of exciting to get immersed (or annoyed) by a whole new world with new characters to fall in love (or hate) with. Not to mention new gameplay ideas and mechanics that seem revolutionary compared to the previous entry. Far Cry 3 is a great example of this. There is a downside to this, though: as we saw with Final Fantasy VII, sometimes the game is so popular that deviating from that story will only irritate its legion of fans. Final Fantasy VIII is all but forgotten by Square Enix these days. It was only years later that they thought to capitalize of FF VII’s success, but by then it was too late. But Mass Effect, probably the crown prince of ongoing narratives, has so much in its favor as well. In Mass Effect, we are introduced, quite deftly, to a complex, vast galaxy, filled with fascinating alien cultures and lovable characters. In the second game, we get to delve even deeper into the lore of the galaxy and see the stakes raised dramatically. 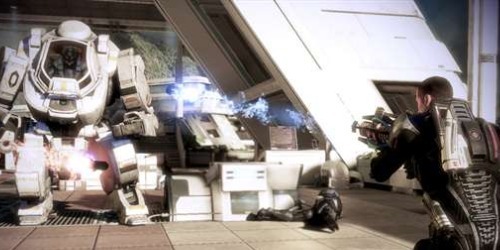 Which leads to Mass Effect 3, a game so highly anticipated that its ending was eventually the focal point of a giant controversy. Some people might not agree, but that’s kind of a good problem to have; after all, it means people are deeply affected by your story and care a great deal about what happens. EA wasn’t happy about the bad press, but better than have your game fall on its face in a forest with no one around to hear the sound. But sometimes, the continuing story isn’t such a great thing. That’s how we get unnecessarily convoluted storylines like Assassin’s Creed, Kingdom Hearts and Metal Gear Solid. Gameplay mechanics are improved, streamlined and enhanced, but with little deviation. It’s a series of evolutions over revolutions. In same cases, this is awesome: look at the jump from Uncharted to Uncharted 2 or Mass Effect to Mass Effect 2. But sometimes it feels like incremental improvements until things eventually hit a standstill, like Assassin’s Creed 3’s giant step backwards. Like I said, pros and cons to both kinds. For myself, as much as I love Final Fantasy’s unique approach, nothing really comes close to that feeling when something like a Mass Effect 3 comes out. It becomes a giant metagame of avoiding spoilers and racing through the game before some idiot blurts out something critical on Twitter or Facebook. The excitement and anticipation of something truly epic is difficult to beat. What about you? Which do you prefer? Tell me your truths, Sushians! The Mass Effect way for sure. Because of the continued story, never before have I been so attached to fictional characters. Right now, over a year after the last installment, I am patiently waiting for my hand sculpted bust of Garrus to come in from the Bioware store, with my Mordin one arriving earlier this month. And I continue to check the store weekly for new ones added, just so I can instantly buy them. When I got the Mordin one, I got a little misty eyed as I read the words on the base that said, “Someone else might have gotten wrong”. My girlfriend, bless her, accepts my nerdness, but she’s always puzzled about why I’m so attached to these characters (although I did give her a little taste when I got her to play the Walking Dead. Episode Three, heh heh heh). It’s because I’ve spent hours upon hours speaking with each individual one. I know their strengths and flaws, past relationships, battles fought. I’ve gotten drinks with them and helped them resolve problems of their past. Its something unique to video games, and to have these characters and this universe continue through three separate games is an experience I wouldn’t trade for anything. So there’s my answer. I prefer an ongoing story, but I think asking your fans to commit to a story thats longer than 3 games at the maximum is too much. Its why my interest in the Assassin’s Creed games waned. I want to play them but knowing theres now 5 games worth of story to catch up on just makes me say no.